Wow! It has been a long time! I was going to be posting right when the kiddies went back to school and here we are in October. The END of October I should say. I have been painting, planning, decorating, and creating tons of printables and then I NEVER post anything. Completely out of the habit. I hope that I can get back in the groove. YW has been extra busy. 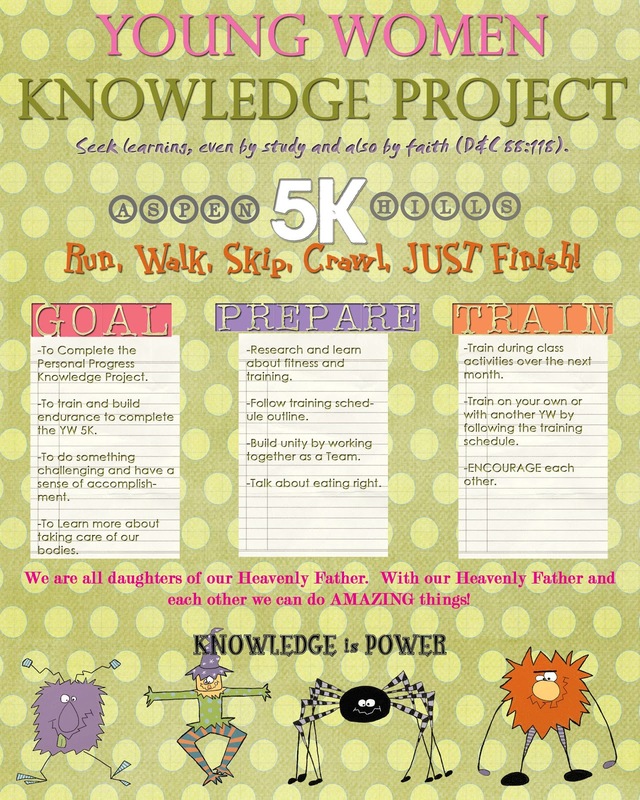 We planned a ten hour Knowledge project for our entire group and I am finishing it up with a Knowledge lesson. 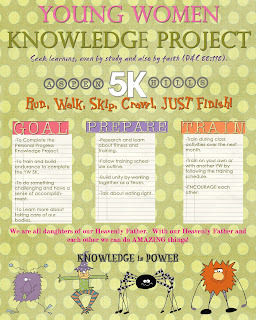 We spent about eight weeks training for a 5K run, learned about fueling our bodies, food labels, healthy recipes, & what is in the Word of Wisdom. It has been a blast. 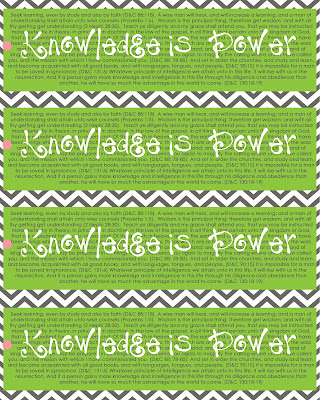 I am finishing up with a lesson on Knowledge tomorrow and by the end of the year the ENTIRE Knowledge section should be passed off. 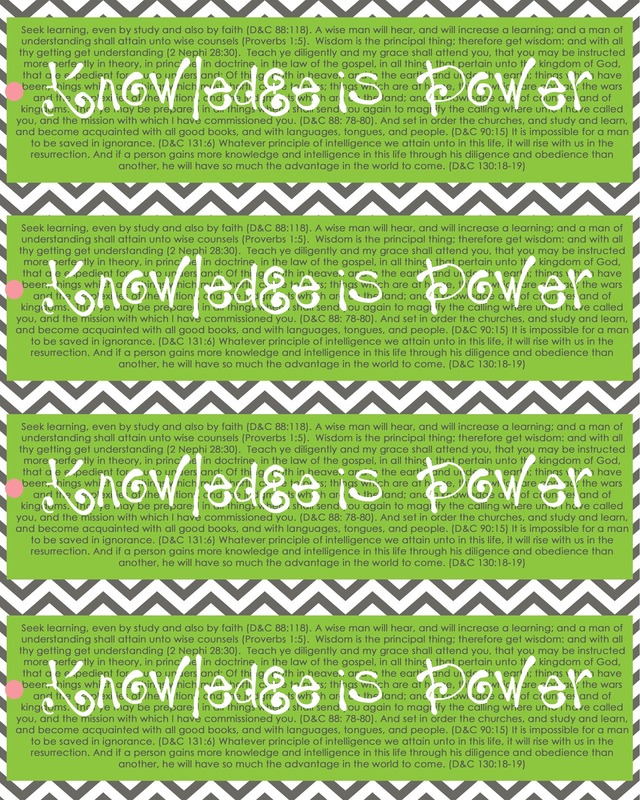 I created a bookmark that has every scripture in for Knowledge Value Experience #1. I am going to have the girls write a journal page tomorrow in class and have five of our girls give a short talk that will cover Additional Knowledge Value Experience #4. We are finishing every thing up. It has been a blast and if you need any additional details please let me know! Thanks for your continuous support through my dry spell and fingers crossed I won't go this long again! Here is the poster I created for the Ten hour project kick off!